This artificial boxwood decorative fencing are perfect for your patios and garden to create privacy space. UV protected against weather wear & tear and fading. Long lasting, 5 years Warranty. Each panel measures approximately 20 x 20 inch, 6 pieces in pack. Covers approx. 16 sq.ft. Easy to install. Can attach to any wood frame or chain link fence easily. Made from high quality fresh PE materials. SGS certificated. Eco-friendly and does not release toxic chemicals. Recyclable. SYNTURFMATS Faux boxwood hedge mats are specially produced using the best quality materials and latest technologies. 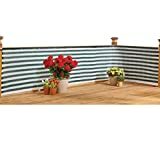 This artificial fence screen greenery are perfect for your patios and garden to create privacy space. Artificial Boxwood Mat is manufactured in a 20" x 20" or 40" x 40" square panel and can be cut, bent, and adhered to virtually any surface whether flat or contoured. 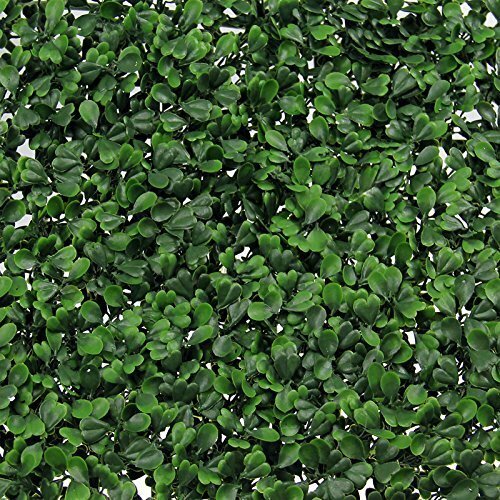 Faux Boxwood Mat is ideal for walls, ceilings or any other surfaces that could use a lifelike restoration. 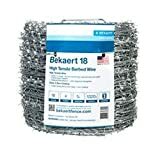 They are easy to install on your fence not only perfect decorations but cover unsightly views. Great for interior and exterior use. The small and detailed two toned dark green leaves provide a dense, lush & naturally look. Can be used to cover walls & amp; fences, build hedges, add privacy and curb appeal -- and save on water and upkeep while doing it! 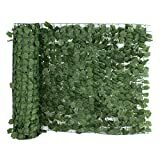 Realistic decorative green panels feature lifelike PE leaves on sturdy plastic netting that attaches easily to most structures. You can also connect two or more screens for longer presentations. Or trim to fit specific shapes and dimensions. Simply cable-tie or otherwise affix this decorative covering -- the possibilities are endless! Green screen panels are UV-protected, weather-resistant and very easy to install. Can be cleaned easily with a garden hose.